Your wedding day. It’s going to be one of the most important days of both of your lives, so of course you not only want to be surrounded by your loved ones, but you also want to be supported by them. 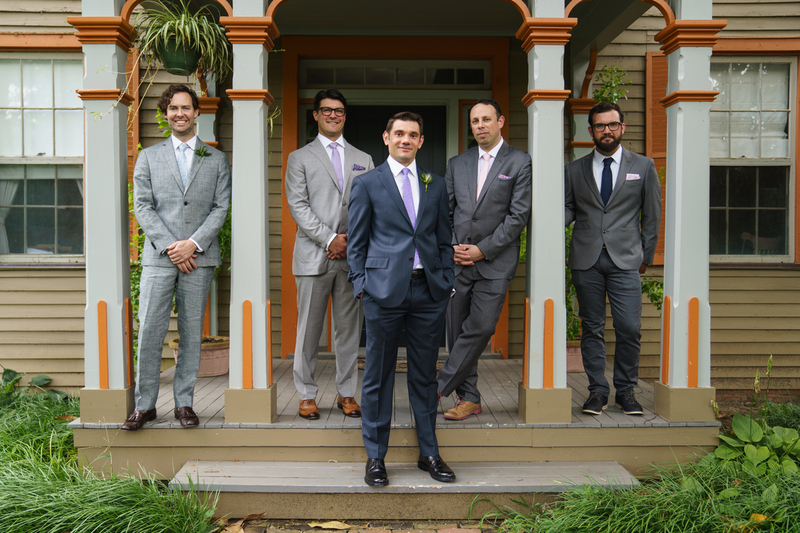 Cue the oftentimes difficult task of how to select your bridal party. Surround yourselves with your best friends. I was in her/his wedding, so naturally they need to be in mine, right? We have to have the same number of people on each side, don’t we? I can’t have someone of the opposite gender on my side, can I? 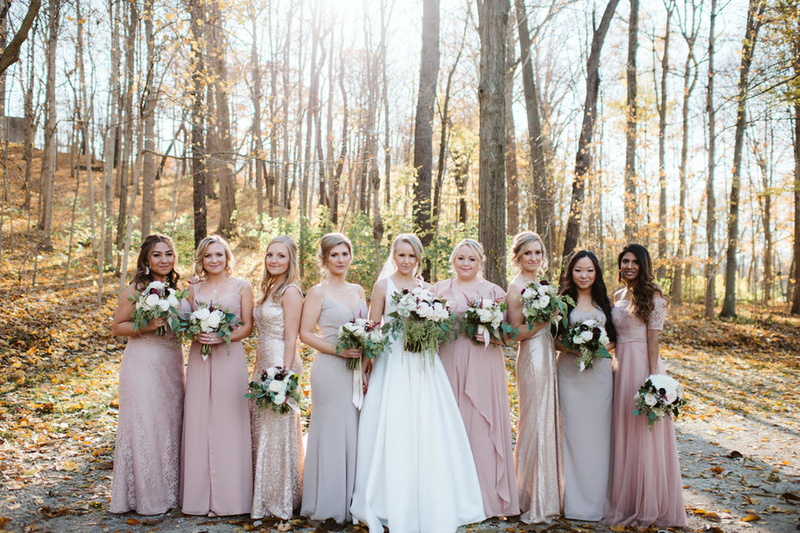 Do we have to have a bridal party if we don’t want one? What are we going to do if we don’t know anyone of age to be a ring bearer or flower girl? Now, let’s break these questions down. Question 1: How Many Is Too Many? Disclaimer: Before I delve further into this, I always stress for my couples to remember that this is YOUR wedding. Sure, there are etiquette items to take into consideration and common practices as well, but you are free to do things YOUR way. If you want one person on each of your sides, wonderful. If you want 10, ok then. If you want none, rock on. It’s your call. All that said, if you are looking for some advice, common practice for this begins with thinking about the size of your guest count. At this stage, you don’t need a firm list of your guests, but a ball park figure is a good start. A very common practice is to have your bridal party proportional to your guest count. Well, if you have 40 guests, but want 10 standing on each side, you already have half of your guests standing at the front with you. On the other hand, if you have 300 guests, 10 on each side won’t seem as much. As a general rule of thumb, if you guest count is under 60, 4 or less attendants are ideal, whereas for guest counts 150 and above, you can continue to grow your party upwards to 12 on each side. Question 2: I was in his/her wedding, so naturally they need to be in mine, right? 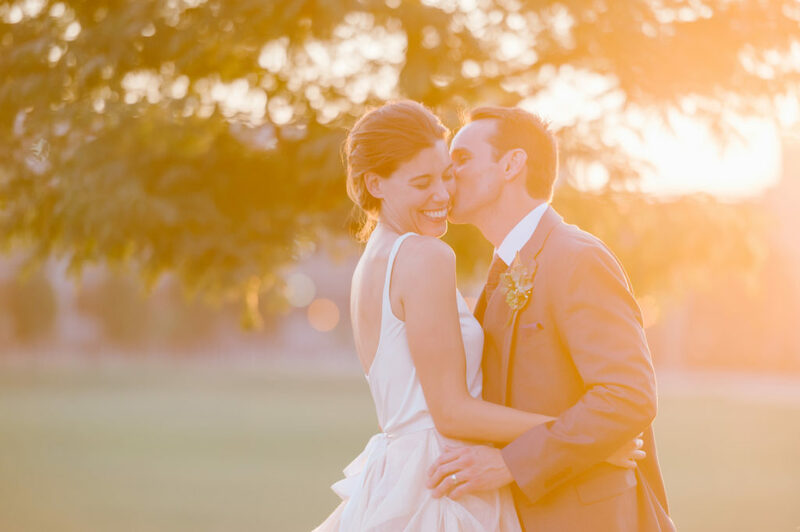 You want to pick people to be by your side that are going to calm you, that you have a relationship with and that you will genuinely enjoy going through the wedding formalities with. Insider tip (mini exercise): Picture your wedding party in your head. Is there anyone there that you think 10 years from now you won’t have spoken to in ages? Do you want that? Just food for thought. 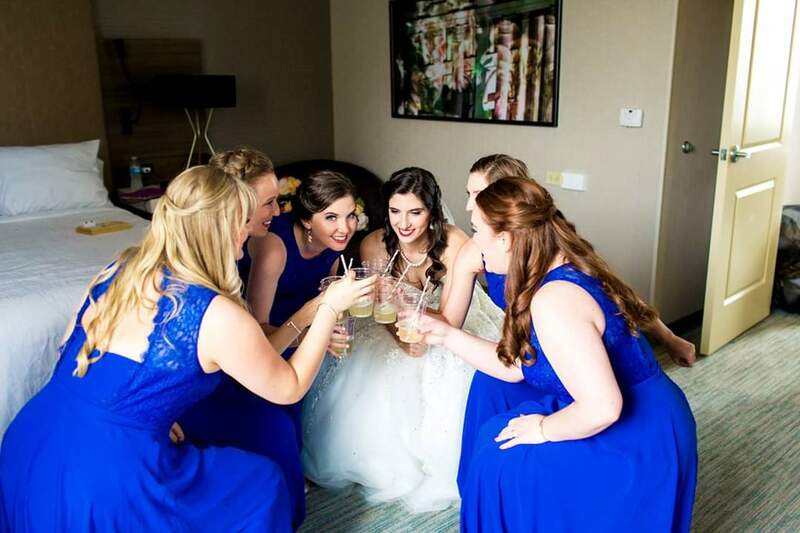 Insider tip: “Bridal party member” isn’t the only important role to be filled. 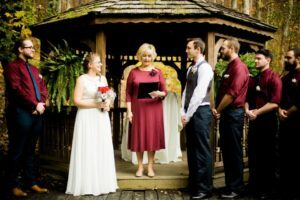 Remember, people can still have special roles in your wedding in ways other than being a member of the bridal party such as being a reader or a cantor, passing out programs, serving as an usher, etc. That said, reserve the guestbook attendant position for someone a little younger. Question 3: We Have To Have The Same Number On Each Side, Don’t We? Ok, I get it. I love symmetry at times as well. Expecting you and your partner to have the same number of meaningful relationships with friends is a little silly though, isn’t it? So what if you have a few more people on your side than your partner does. People can walk in groups. Believe me, it still works. Don’t stress yourself out by adding people to the mix just for the sake of equal numbers. Again, you want your closest friends and/or family by your side. The planning process is going to be stressful at one point or another and you need that definite support. Even-smeeven. Don’t lose any sleep over making things even. Focus on the relationships. I guarantee no one is going to leave your wedding commenting on how unequal the bridal party was. Question 4: I Can’t Have Someone Of The Opposite Gender On My Side, Can I? Says who? If one of your best friends is of the opposite gender, so what? You can easily change titles to fit them working out on your side. They also just wear the same attire that you have selected already for your partner’s side, so no problem there. Just make sure they are comfortable being on your side. Generally, it’s not a problem, but it’s always nice to ask. What do you do when you and your partner both consider someone to be your best bud? Well rock-paper-scissors tends to be a great way to determine who gets that person on their side. Though, be sure you are good at that game, because I lost. Question 5: Do We Have To Have A Bridal Party If We Don’t Want One? Who needs a bridal party when you have each other. It’s your day. Do it YOUR way. 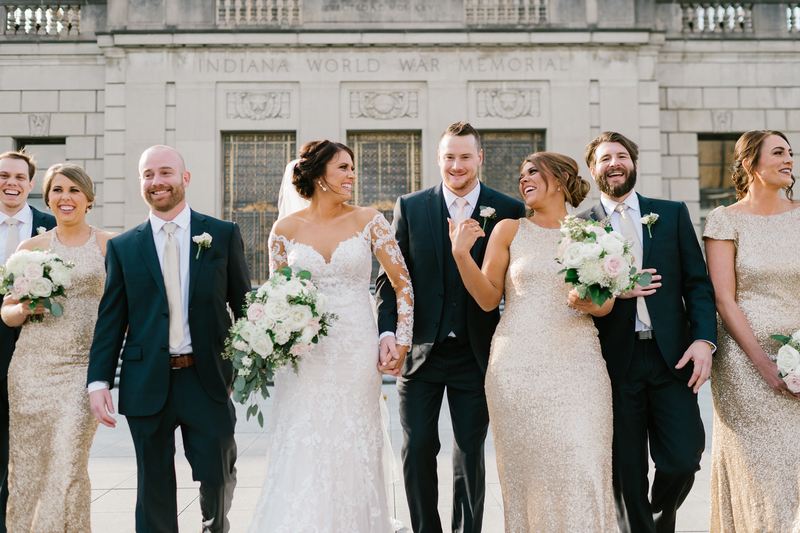 If you and your partner don’t want a bridal party, then don’t have one. People will likely question your decision not to have a bridal party, but just ignore it. This day is about what you both want, not what societal norms have dictated. *In general, bridal parties make the day fun, but they can be a lot of work. Each person you add to the mix is another personality, another set of logistics to consider, another outfit, another gift, etc. Question 6: What Are We Going To Do If We Don’t Know Anyone Of Age To Be A Ring Bearer Or Flower Girl? You do not have to have children in your wedding. I’ve seen people have someone be their ring bearer or flower girl when they barely know the child just for the sake of having those positions filed. This makes things awkward for the couple and, if the child is not outgoing, it can be incredibly hard on them as well. Don’t go desperately seeking for children to fill these roles if the child in question is not someone that either you or your partner knows very well. 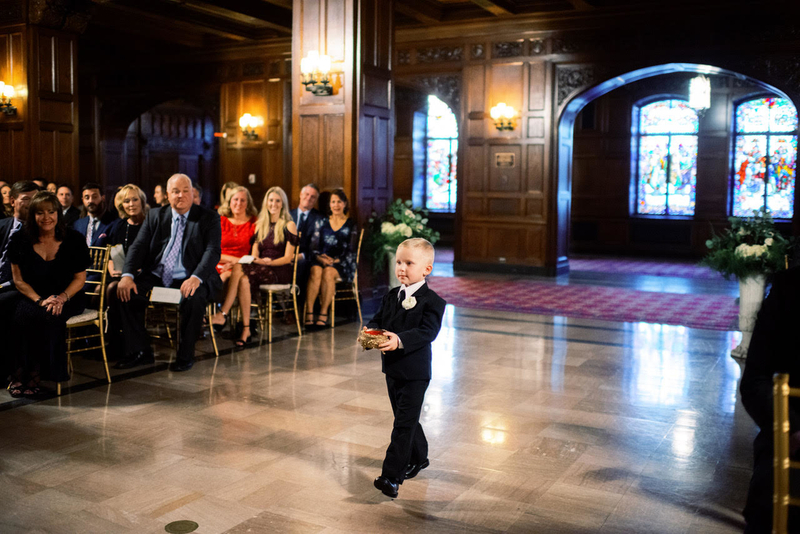 Insider tip: If you have a young ring bearer and/or flower girl, it’s great to have another one that is older that can hold hands with the younger attendant and help them get down the aisle. 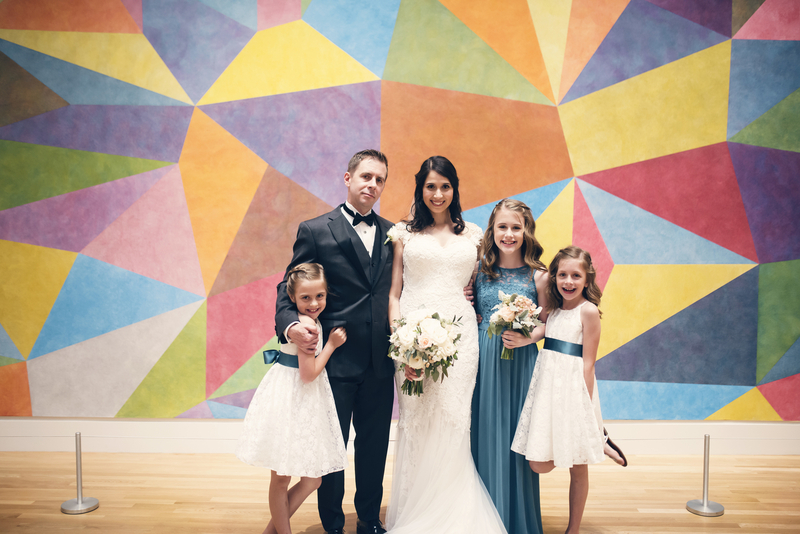 Sometimes a ring bearer and/or a flower girl will be the child of a bridal party member. This is often great as it makes the child feel more comfortable and more likely to go down the aisle if they are younger. 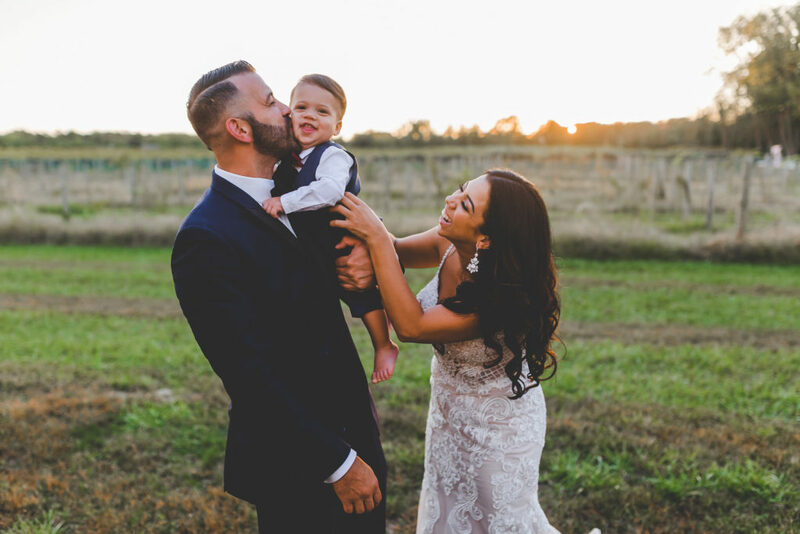 Insider tip: If you are having an “adults only” wedding, you can still have a ring bearer and flower girl. That said, if you don’t want those children to be in attendance during the reception, common courtesy would be for you to arrange for a babysitter or a fun activity for them to do during that time. 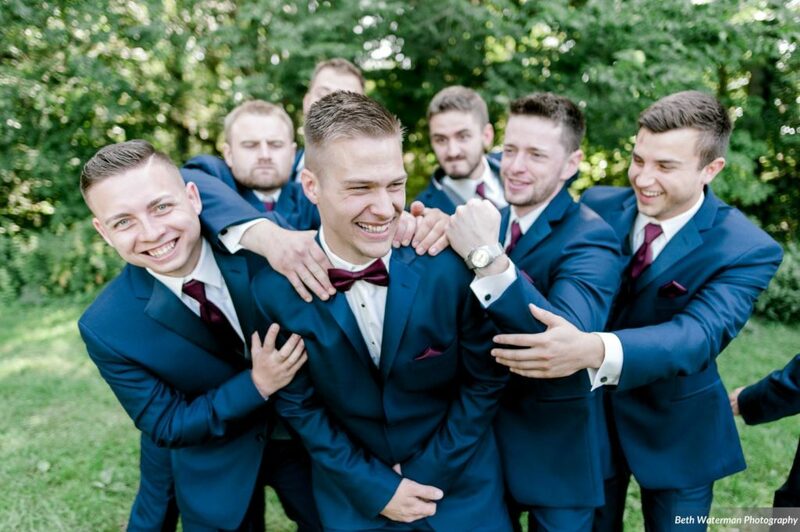 Selecting the right people for the bridal party is important. 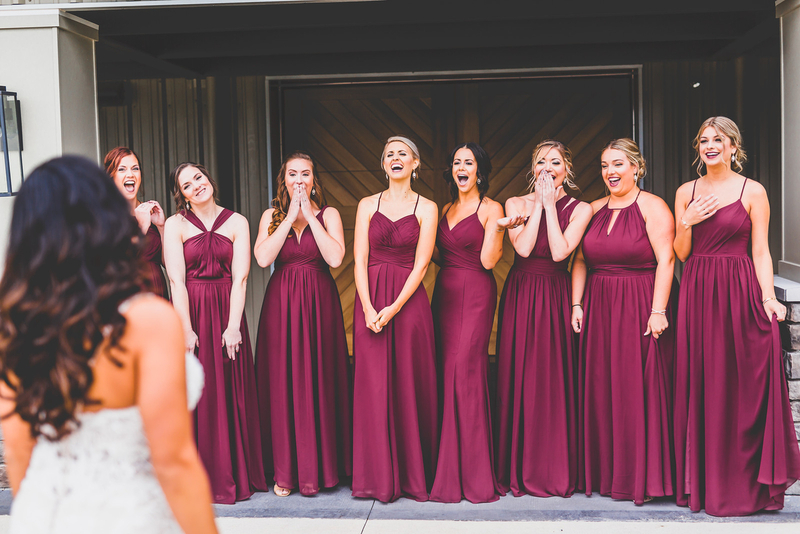 Shortly after getting engaged, couples are filled with excitement and sometimes ask people to be in their bridal party too quickly before thinking things fully through. Remember, these are the people that are going to be standing by your side throughout the entirety of the wedding day. Make sure they are your closest friends and/or family members and you’ll be happy and calm as you make your way down the aisle. Surround yourself with those who bring out the best in you. Let’s start by grabbing coffee or a drink and talk about your special day. My treat!